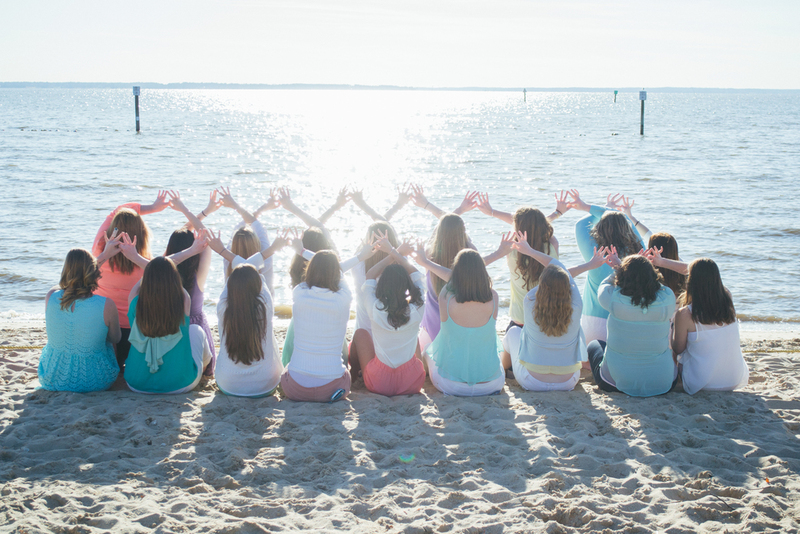 Last month, I teamed up with Zeta Tau Alpha at CNU for their spring photo shoot! I'm absolutely in love with the sea and pastels and cute photography props, so it was a match made in heaven. 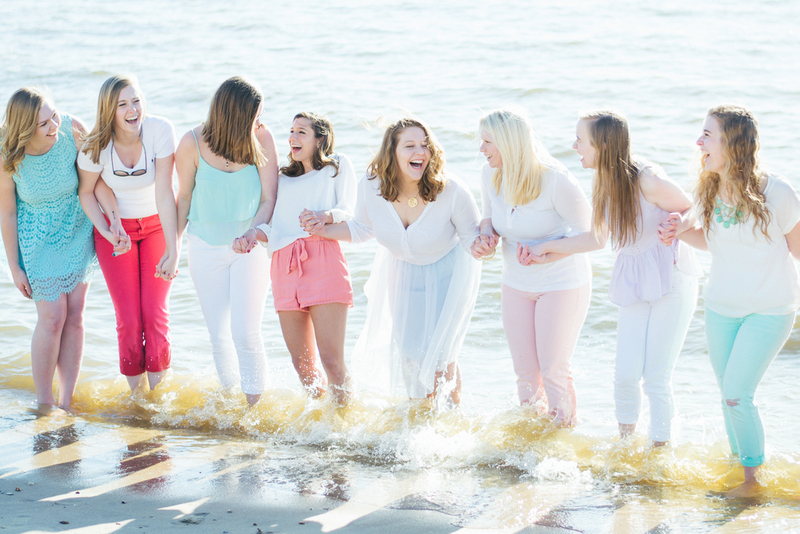 It was SO much fun running around the beach with these stunning ladies. These women are all so unique and genuine and real, but despite their differences, when they come together they mesh so well. After being around them for just five minutes, I could tell that they're just one big family. That kind of bond is so special, and it lasts a lifetime. That love shines through in these photos and made for a magical shoot! "Love, the greatest of all things." Check out those ZTA crown rings! I had heart eyes for this cute flag banner. Would you just look at those smiles?! What joy!